I am the Surgical Director of the University of Ottawa Auditory Implant Program. Our multi-disciplinary research team combines expertise in hearing technology, audiology, health services, health economics and biostatistics. Our recent novel work on adult auditory rehabilitation training has demonstrated marked improvement in auditory performance, particularly the ability for cochlear implant recipients to effectively use the telephone and has led to substantial change in clinical practice. I am the American College of Surgeons National Surgical Quality Improvement Program (NSQIP) Surgeon Champion for The Ottawa Hospital and have had the opportunity to develop the perioperative quality research network at TOH to provide infrastructure support for practice-changing surgical quality research by a collaboration of clinician scientists utilizing data from NSQIP. Since 2015, I have participated in a successful research collaboration with Shanghai Jiao Tong University School of Medicine. Our research projects focus on the management of sudden sensorineural hearing loss and the effectiveness of auditory rehabilitation after cochlear implantation. 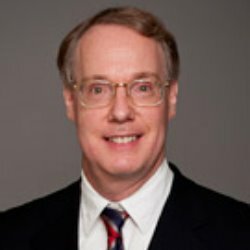 David R Schramm MD SM FRCSC FACS is the Chair of the Department of Otolaryngology - Head and Neck Surgery at the University of Ottawa and Head of the Department of Otolaryngology - Head and Neck Surgery at The Ottawa Hospital. Dr. Schramm graduated from the University of Toronto Faculty of Medicine and completed post-graduate residency training in Otolaryngology at the University of Ottawa. Subsequently, he completed a Fellowship in otology, neurotology, and lateral skull-base surgery in Illinois. He has a Master of Science degree in Epidemiology from Harvard University. Dr. Schramm is the Surgical Director of the University of Ottawa Auditory Implant Program. He is an Associate Professor in the Department of Otolaryngology - Head and Neck Surgery and an Associate Scientist in the OHRI Clinical Epidemiology Program. He also is the American College of Surgeons National Surgical Quality Improvement Program (NSQIP) Surgeon Champion for The Ottawa Hospital. Dr. Schramm holds the University of Ottawa Department of Otolaryngology – Head and Neck Surgery Research Chair in Neurotology and Lateral Skull Base Surgery. His research focuses on otology / neurotology including cochlear implantation and surgical quality. Schaefer S, Henderson L, Graham J, Broomfield S, Cullington H, Schramm D, Waltzman S, Bruce I. (2017). Review of outcomes and measurement instruments in cochlear implantation studies. Cochlear Implants Int. Sep;18(5):237-239. Moloo H, Brooke R, Sundaresan S, Skinner B, Berg A, Doering P, Worthington J, Forster A, Schramm D. (2016). Enabling front line-driven perioperative quality improvement through organizational infrastructure built around the Comprehensive Unit Based Safety Program. Can J Surg. Dec;59(6):422-424. Montroy J, Breau RH, Cnossen S, Witiuk K, Binette A, Ferrier T, Lavallée LT, Fergusson DA, Schramm D. (2016). Change in Adverse Events After Enrollment in the National Surgical Quality Improvement Program: A Systematic Review and Meta-Analysis. PLoS One.Jan 26, 11(1);e0146254. Schramm DR, Worthington JR, Kitts JB. (2011). Implementation of an Integrated Peri-operative Quality Management Program at The Ottawa Hospital. Healthcare Management Forum, Spring, 24(1 Suppl):S34-48. Schramm D., Maessen, H., Howarth, T. (2010). Canadian Position Statement on Bilateral Implantation. Journal of Otolaryngology – Head and Surgery, Oct, 39(5), 479-85.